In the realms of architecture, design, business acumen and all around great guy, what doesn’t set Phil Kean apart? Phil and PKDG are no strangers to accolades. Recently Kean was selected to be Architect, Builder & Interior Designer of the “2017 New American Home” and the “2017 Great American Remodel” for the 2017 NAHB International Builders’ Show in Orlando. He has also been honored as the NAHB 2013 National Custom Home Builder of the Year; Central Florida’s Builder of the Year, MCBC 2013; Central Florida’s Best Architectural Firm, Orlando Business Journal’s Readers’ Choice 2012 & 2013 & 2014; Central Florida’s Best Architect, Orlando Life‘s “Simply the Best” 2012 & 2013; Central Florida’s Business Owner of the Year, OBJ 2012; Golden 100 – OBJ’s 100 Top Privately Held Companies 2011, 2012 & 2013; and Architect, Builder & Interior Designer of “The 2012 New American Home”, NAHB 2012. The list goes on. But you get the idea. How Phil Kean become one of today’s most venerated pacesetting architects both in Florida and internationally, is a great story. The son of a contractor, Phil set his sights on being an architect when he was just eleven. On scholarship he attended Harvard University and Washington University to earn his Masters of Architecture (March) and Masters of Business Administration (MBA). Thirteen years ago he started his residential design company at his kitchen table. 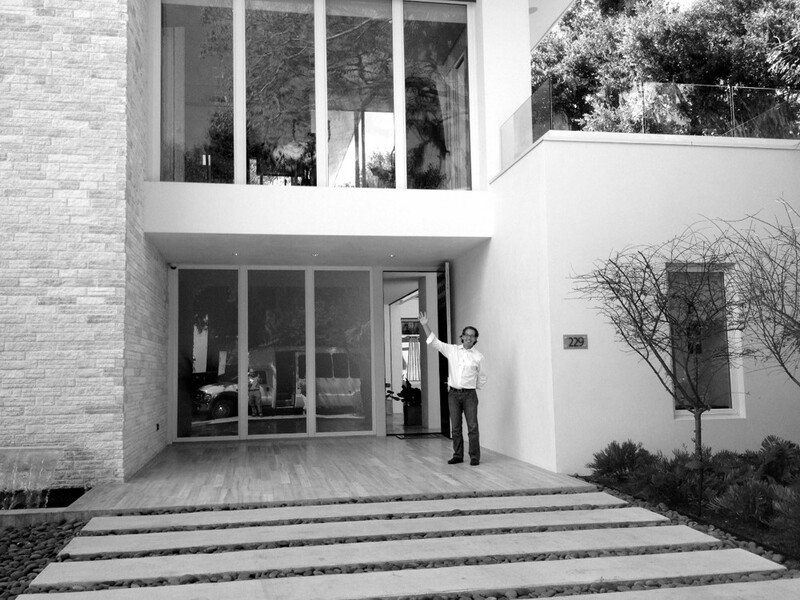 Always a standout among his peers, Phil began building one-of-a-kind luxury spec homes in 2005. His innovation, artistic use of space and light, and being a frontrunner in sustainable construction soon elevated Kean to one of Central Florida’s most sought after residential design firms. In 2006 he had the foresight to stop building spec homes. PKDG not only sidestepped the economic downturn of 2008-2012, it remained financially solid and grew exponentially. 2007 was a banner year in which PKDG began “Green” certifying its sustainable construction. It was also the year Phil broke the mold and brought to Central Florida, and shortly thereafter to the world, his new vision for contemporary modern homes that seamlessly integrate indoor and outdoor living. His first modern home plan, NeMo (New Modern) was an instant trendsetter and PKDG became renowned as “the” design firm for homes and interiors that are beautifully modern, yet work harmoniously within traditionally oriented surroundings. Fast forward to 2015. Today Phil Kean Design Group is comprised of three buildings on Fairbanks Blvd in Winter Park. Having added a now internationally award-winning Interior Design division, an engineering department and a real estate firm all in one place, PKDG offers a one-of-a-kind combination of services. Phil has also introduced a new company, WAYCOOL Homes in 2013 which sells stock modern home designs to approved builders and homeowners worldwide. At the center of it all is Phil Kean and his vision of innovative design and sustainable construction as art. However, an even more telling look into the man behind the master architect is Phil’s on-going generous dedication to causes for human rights, education, local arts, sustainable construction and bettering his community. Above all, Phil will tell you, one of his highest accomplishments lies in creating and empowering his staff of talented and accomplished professionals. Benefits are exemplary, employee health and well-being is a priority, socializing for teambuilding is a given, and success is rewarded. Each year the firm’s revenue, number of employees and awards and recognition have grown. Congratulations Phil Kean on being named 2014 Contractor of the Year by the AIA Orlando!